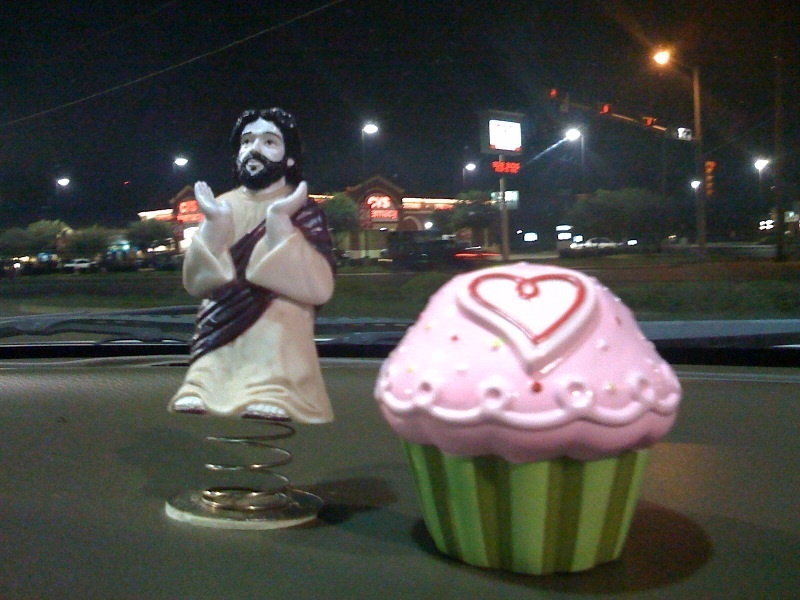 plastic cupcake and dashboard Jesus, in the wee hours of the day, driving to the flatlands. 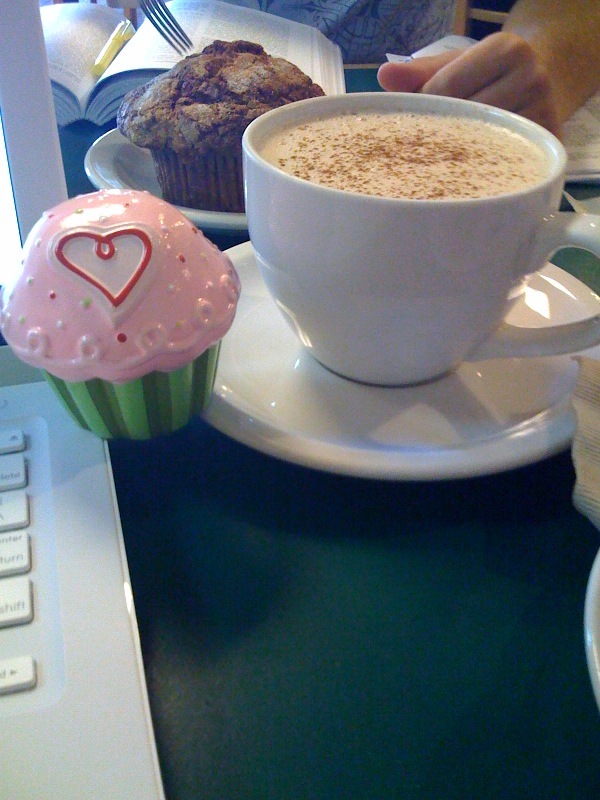 plastic cupcake at her most missed coffee shop: daybreak. enjoying, not a strawberry (sigh) but a blueberry muffin. 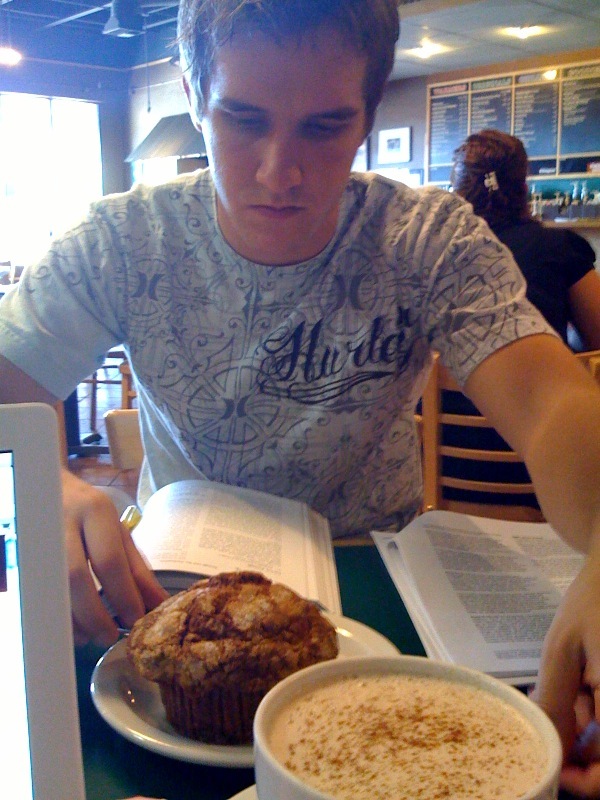 pc studying with her friend brandon, at daybreak. plastic cupcake is back on the road. I can’t wait to see Little Miss Plastic Cupcake at the TROOK’S!!!!!!!! Girl, you crazy… in a good way. Look forward to hanging again. awwwwwwwww. :) plastic cupcake is feeling the love. thanks, guys!